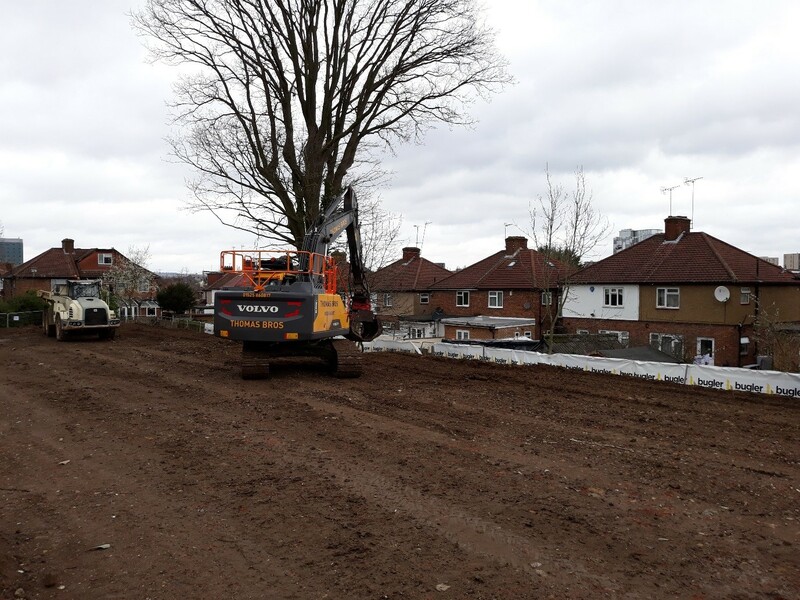 Work on Opendoor Homes’ ambitious plans to build an initial 320 new homes in Barnet is progressing well. Below, we share an update on some of our sites, at varying levels of completion. 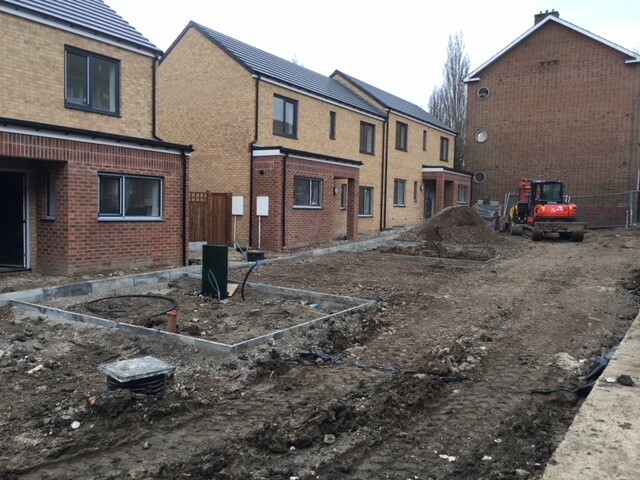 Work at Adamson Court – where we have built ten affordable homes – was completed at the end of January. The block was a mixture of one and two-bedroom flats. 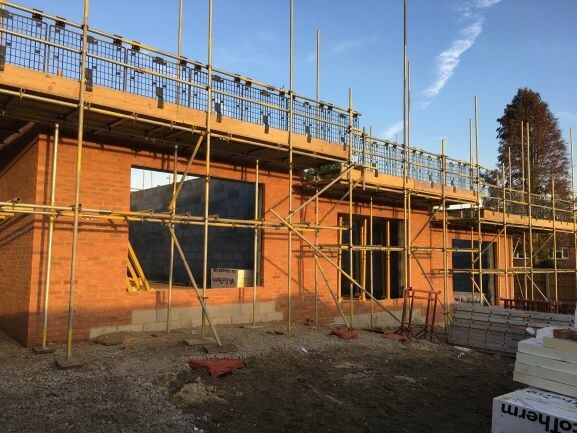 Works at Alexandra Road, where we’re building four two-bedroom houses is progressing well, with the external works taking shape. 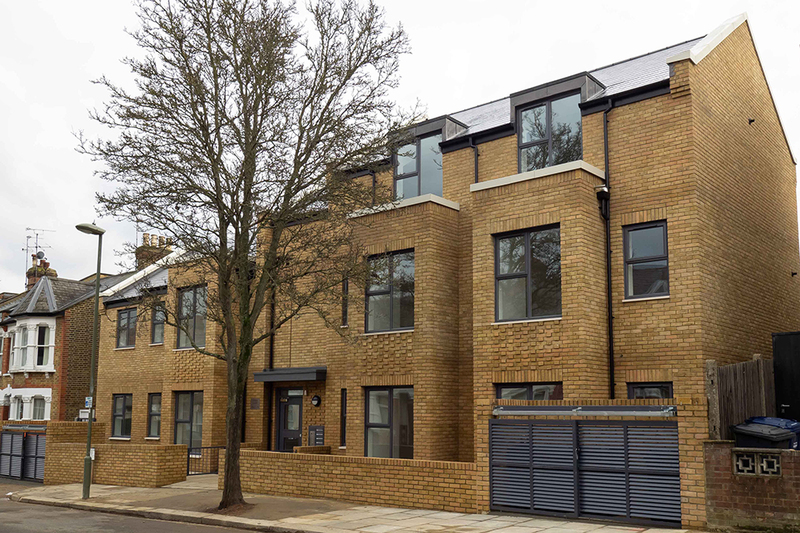 This is one of our larger sites, built on the location of the former Burnt Oak Registry Office. 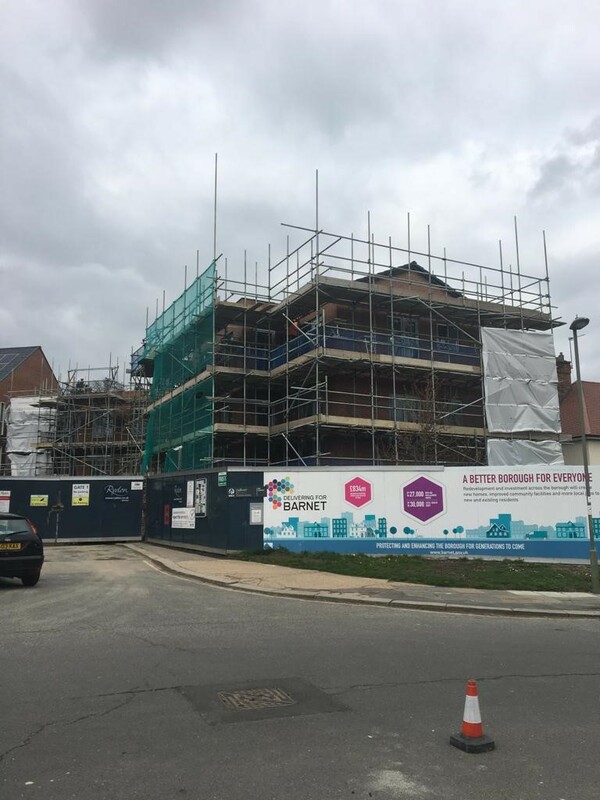 We are building 30 new homes; a mixture of one and two-bedroom flats. Structural works are progressing, and completion is due in Summer 2020. 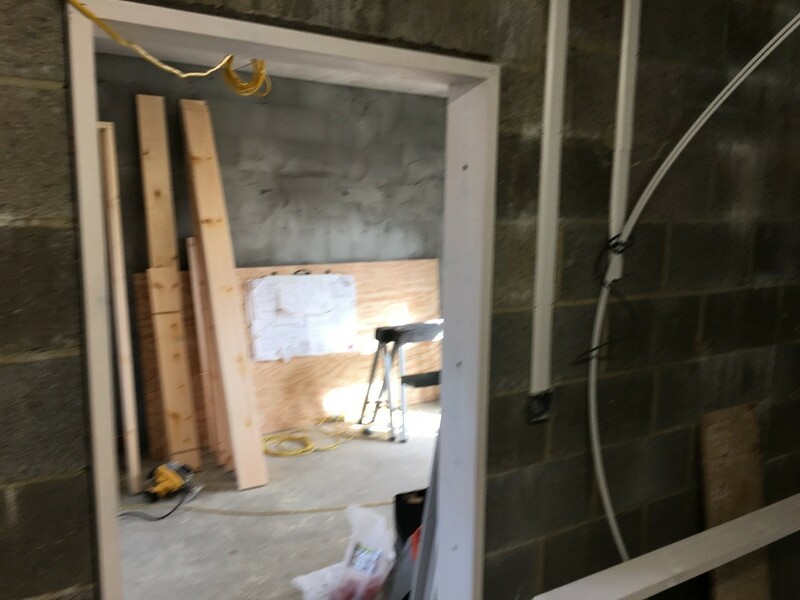 This site is at an early stage in the development cycle. 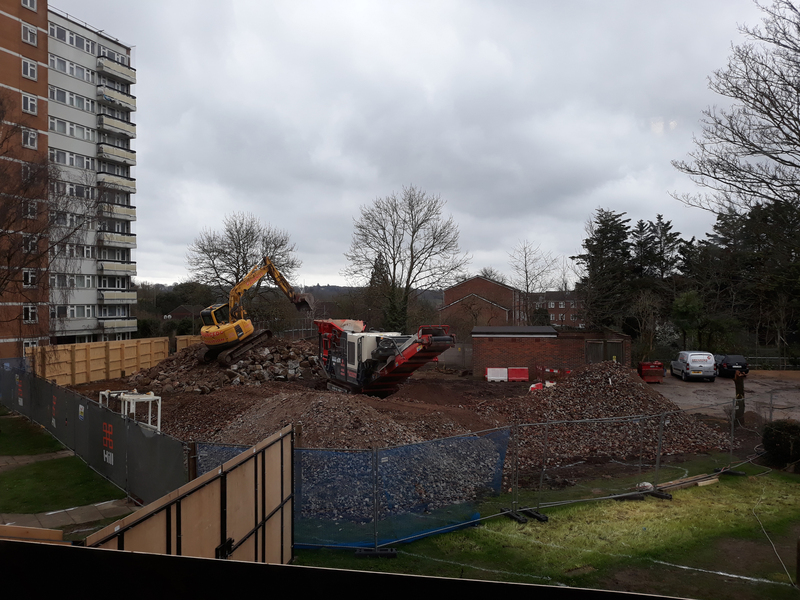 Site hoardings are now in place, and preliminary works are underway. We will be building a block of eight one and two-bedroom flats. 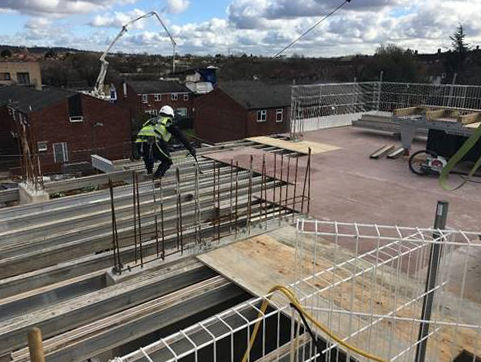 One of our largest developments, we will be building 50 new one and two-bedroom flats at Prospect Ring. Demolition has been completed, with waste now being taken away. The installation of a new electricity substation has also been completed. The underused garages on the site have now been demolished and site hoarding has been installed around the site. We have also begun piling on the site. 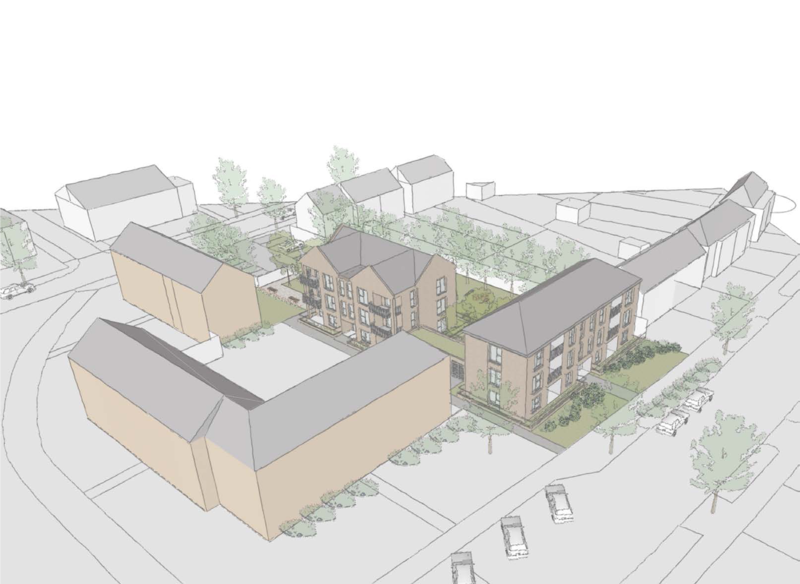 We will be building 34 new homes; a mixture of three-bedroom houses and one and two-bedroom flats. Work is due to be completed winter 2020. 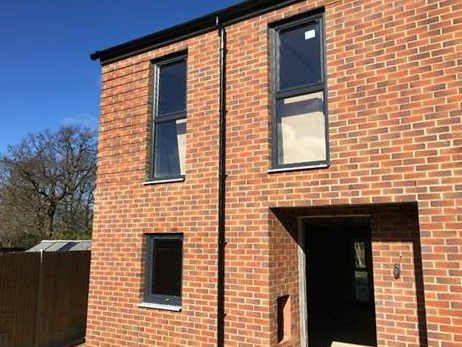 We are building three two-bedroom houses on the site of some under-used garages. 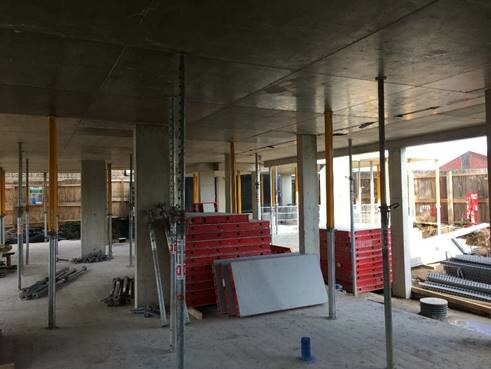 External work on the ground floor is complete, with block work now beginning on the first floor. 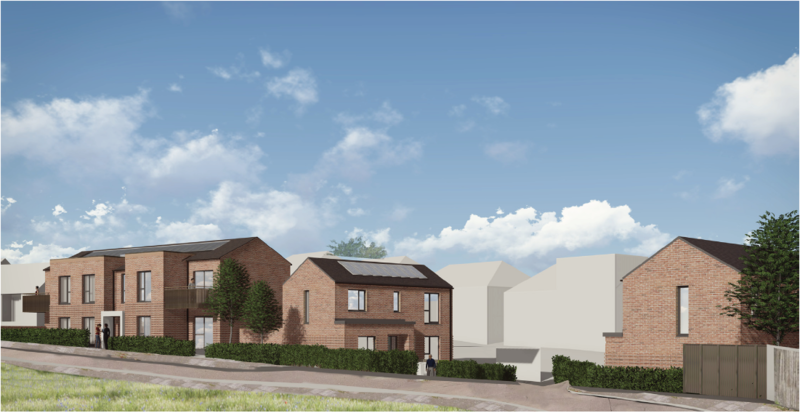 We are building four new homes at West Farm Place, a mixture of houses (right) and bungalows (far right). 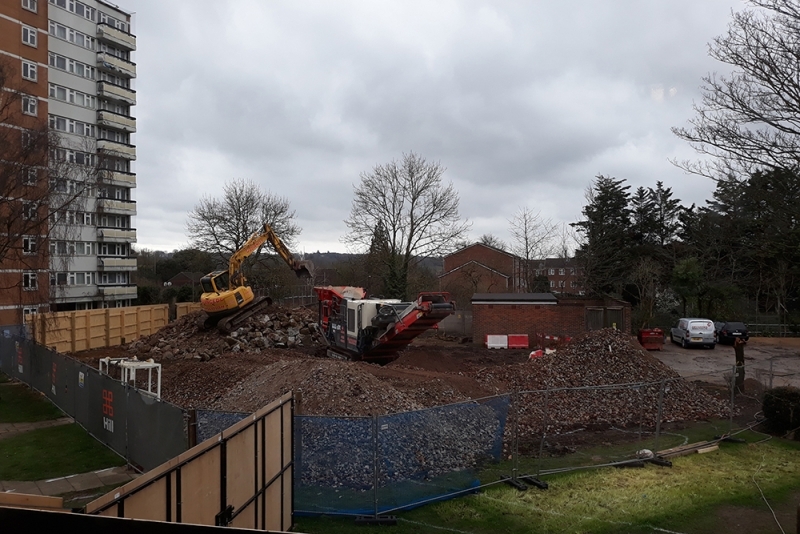 Completion is due summer 2019, and as can be seen, work is progressing well. 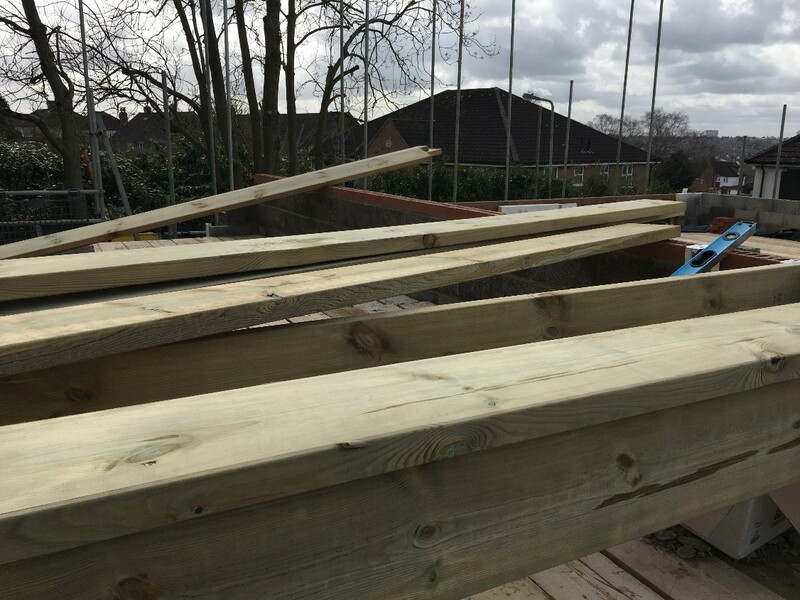 At Mount Parade, we will be building seven affordable homes, made up of one and two-bedroom flats. Completion on these 33 homes is due in Spring 2020. 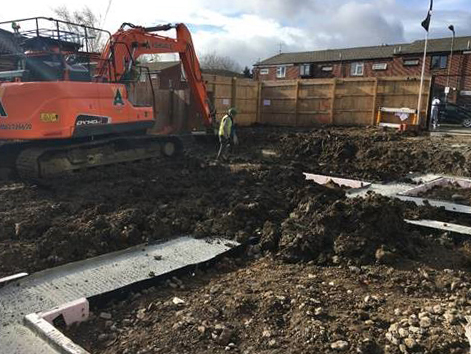 Ground works have started on the construction of a mixture of one, two and three-bedroom flats, and two-bedroom houses. Two two-bedroom houses will be built at Westbrook Crescent. Construction of the homes is proceeding well, with the internals now being fitted out. New boundary fencing is also almost complete. 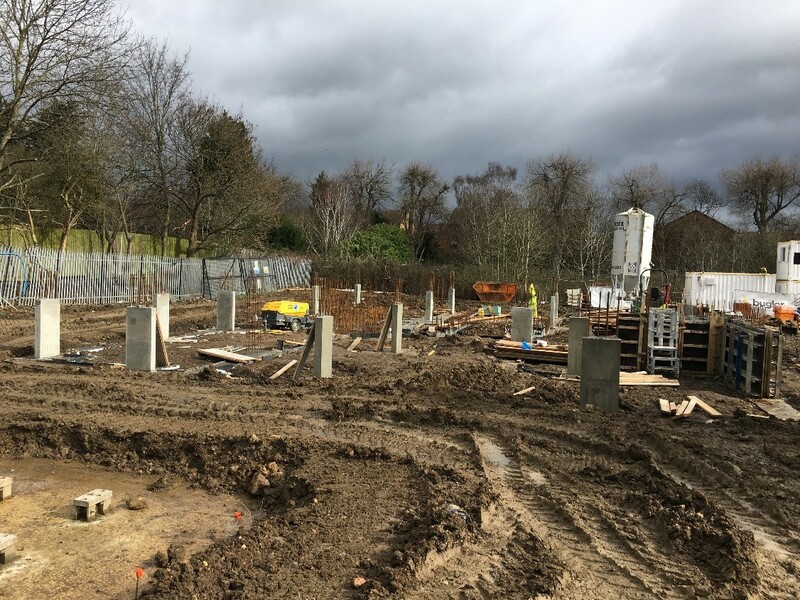 Six new affordable two-bedroom flats are being built next Barnet Homes’ new extra care scheme at Ansell Court. These properties are now water-tight and the scaffolding is due to be taken down by the end of March. 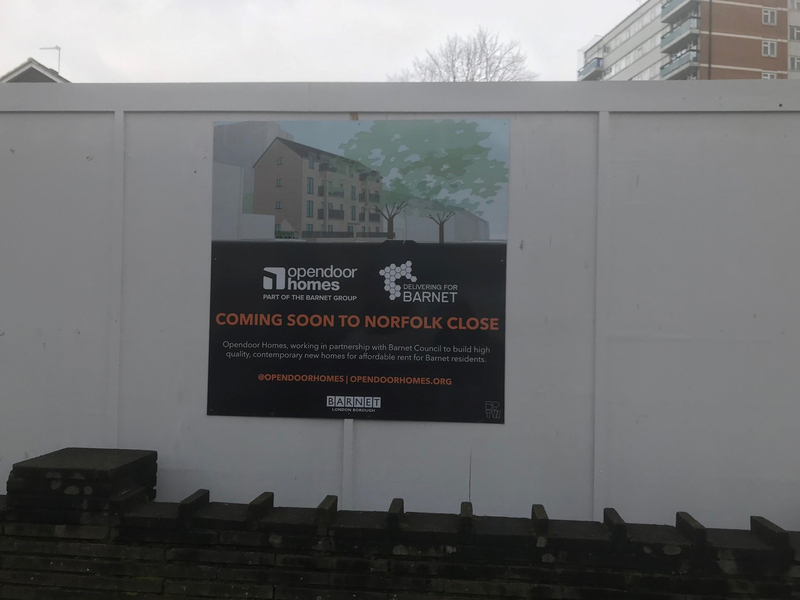 Work on six new affordable homes is due to start imminently, beginning with the demolition of disused garages on the site. By summer 2020, we will have built 12 new homes at Mount Pleasant. Hoardings have now been erected, and tree removal is underway. Garage demolition has begun, where we will be building two new homes. 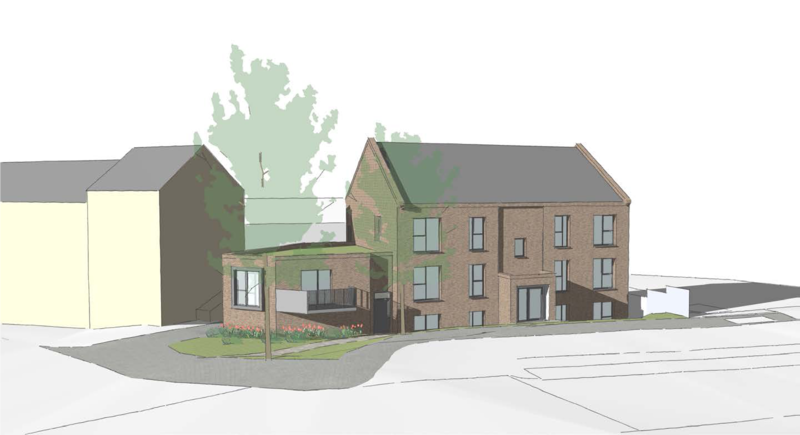 Two new homes will be built at Ryecroft Crescent. Garage demolition is ongoing, and hoarding has been erected.